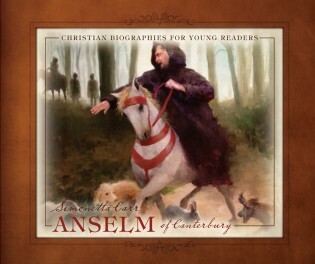 Anselm of Canterbury (Christian Biographies for Young Readers) by Simonetta Carr. Reformation Heritage Books, 2013. 64 pgs. Ages 8-up. Recently, I had the opportunity to interview Simonetta about Anselm and her biography series. Here’s what she had to say. 1. Who was Anselm, and why did you choose to write about him? As you know, the overarching goal of this series of books is to give children a historical understanding of the doctrines they believe. I want to make them think about what they believe and why they believe it. I remember years ago in Sunday School, I tried to explore with my 2nd and 3rd graders the truth behind the statement, “Jesus took away my sins.” That’s a typical answer to the question, “Why did Jesus die on the cross?” But do children really understand what it means? I asked my students, “How did Jesus take your sins? What did he do with them? Could he just erase them?” Of course there are theologians who say he did just that, erase our sins with no consequence for him or us, but is it really consistent with God’s perfect justice? And did Jesus really need to die in order to do that? Anselm pondered similar questions. I hope my readers will understand that these doctrines were not formulated lightly. Anselm took years and years to write his Cur Deus Homo, and structured it as a discussion with another monk where–in typical scholastic manner–he tried to leave no stone unturned. The doctine of Christ’s atonement is a foundational tenet of our historical confessional faith, but has been repeatedly challenged over the centuries. I hope my readers will take it seriously and I hope their parents will help them to realize its implications in our daily lives. 2. You include a lot of metaphors that Anselm himself used in describing his life and Biblical ideas. Did you have a favorite? Not really. Generally speaking, I like how Anselm seemed to come up with metaphors for just about anything. I think it opens a window on his character. Not only was he always thinking about God and spiritual truths, but he was extremely observant about everything around him, and could draw his illustrations as easily from the life of kings as from that of peasants. Of the metaphors I mentioned in the book, probably children can relate the most to the one of the child chasing butterflies (which Anselm compares to the lure of material things). 3. Do you see this book (and all of your books) as filling a niche in Christian publishing? If so, how would you describe it? I think this question can be better answered by the parents of my young readers. I know I started this series because I felt there was a need for this type of biographies for young readers–something factual and informative, comparable with contemporary children’s biographies about presidents, artists, scientists, etc.–instead of fictionalized stories. Mostly, as I said, I wanted to focus on the history of Christian theology, emphasizing God’s providential preservation of his church and doctrine rather than moral or inspirational examples. 4. How might this book benefit classical schoolers studying the middle ages? Actually, classical education has also inspired the making of these books because I had started using similar methods in my homeschool before I even knew about the classical education movement. It just made sense to base the curriculum on the study of history. As we studied each time period, I wanted to include the history of Christian theology but I couldn’t find age-appropriate books on that subject. So this series is written with that vision in mind. 5. What do you think Matt’s illustrations add to this particular story? Why did you choose an artist with his particular style? I will start with the second question because there is actually a great story behind it. For the first book, a friend of mine from Italy, who is a professional artist, agreed to help me with the illustrations to get me started. By the way, if you wonder why that book (John Calvin) has black and white illustrations, it’s because the first publisher I contacted told me that no one would ever publish my book with color illustrations. When I finally contacted Reformation Heritage Books, the illustrations were already done in black and white. After the first book, they asked me to continue in color. Anyhow, if you look at the cover picture for John Calvin, the illustration is done very well, so I had to find another very good artist, and it was not an easy task. I contacted many illustrators and basically said, “I want very high quality for little money.” Providentially, I found someone who accepted my poor offer for the second book, Augustine of Hippo. Right at the same time, however, my pastor told me his brother was an artist! After I saw his art, I knew he was the right person. Illustrators have a lot of difficult tasks on their hands. They have to interpret a text and translate it into a visual expression. 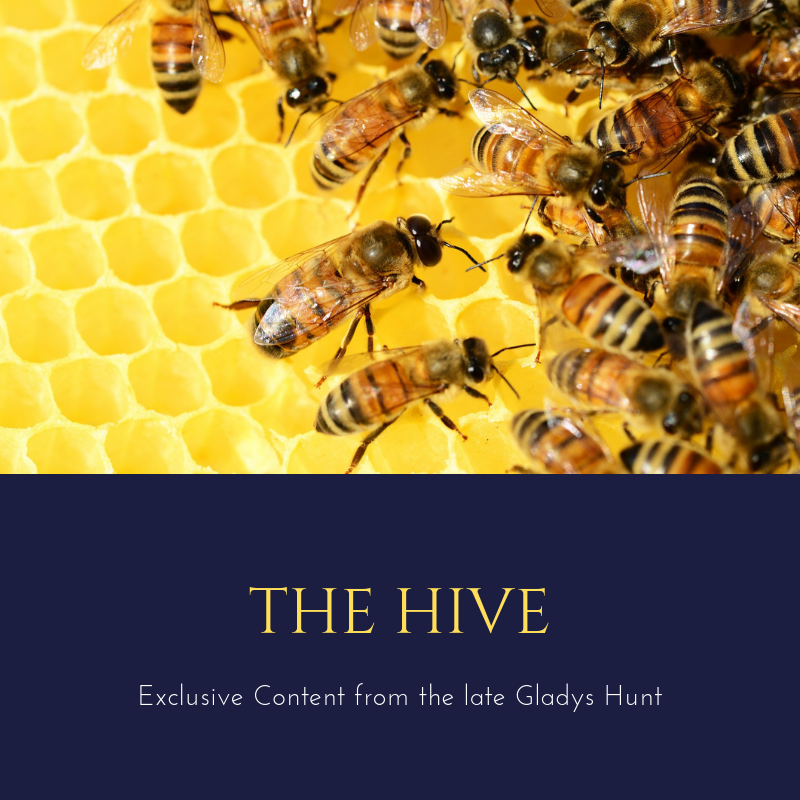 Especially in a short biography that focuses on facts with little room for detailed descriptions, the illustrations contribute to bringing the characters to life, emphasizing their humanity and placing the story in the correct context of time and space. They also create a mood by a choice of colors, contrasts, postures and expressions. On top of this, illustrators have to immerse themselves in the time period they are covering, study the details, and–maybe the most difficult task of all–work peaceably with the author. In fact, this last task is so difficult that most publishers prefer to appoint a graphic editor to deal with the illustrators instead of leaving that communication to zealous and often uncompromising authors. Matt fulfills all these tasks wonderfully, and he adds to that a passionate commitment to beauty and accuracy and a rare artistic sensibility. 6. Finally, should Protestants and Reformed families be concerned about Anselm’s admiration for the pope? How would you approach that aspect of the story with your kids? A hierarchical system of church government (eventually headed by the bishop–or pope–of Rome) was virtually accepted for many centuries before the Reformation. Initially, even the Reformers had a general desire to work within the church structure and maintained respect for the pope until they realized the church was unwilling to modify its stance on vital doctrines. We can help children understand that Anselm’s obedience to the pope (I believe it was obedience more than admiration) was a normal part of Christian life, just as I respect and obey the elders in my church. The problems didn’t come necessarily from that obedience, but rather from the pope’s increasing abuse of power and gradual imposition of unbiblical doctrines. These intensified during and after the Reformation, to the point that it’s impossible to read our conception of papacy back to even the 11th and 12th centuries. In this book, I have mentioned only the problems most intimately related to Anselm’s life–for example, the idea that separating from the world to live as monks or nuns led to a more spiritual and meritorious life (prompting people to “buy” their prayers) and the church’s desire to obtain temporal powers. Parents may choose to broaden this explanation. My upcoming books on John Knox and Martin Luther will fill some of these gaps. There are also some issues about Anselm that I chose not to mention in the book in order to focus on the main points. For example, some of Anselm’s prayers were directed to Mary or to the cross. Parents may choose to point this out, especially if they decide to read some of his other, beautiful prayers to their children. It’s important, in my view, to avoid extremes, such as as seeing Anselm as a reprobate Roman Catholic, or, conversely, as a committed Protestant. He was neither. He was a man of his times, a Christian passionate for the knowledge of God, who made great contributions to our historical creeds while living within the structure and culture of his age. 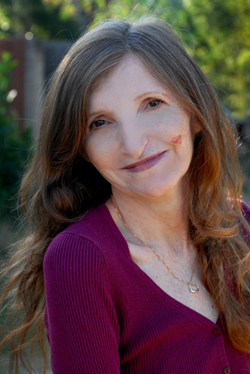 Thanks so much, Simonetta, for taking the time to answer our questions! Do you have a question or comment for her? If so, feel free to leave it in the comments! If you’d like to do more reading about this series, see our review of her Lady Jane Grey and Athanasius. Or for other church history books, see Janie’s The Story Behind the Confessions and Church History for Everybody. My kids love biographies. Learning about our church fathers and what they went through to stand for the truth of scripture is important for our children. They need to know why we believe what we believe. I’m so thankful for books like these that help me teach my children about church history. Thanks for this interview, Emily! I am surprised to learn that you had to find your own illustrator. Don’t publishers usually decide on the artwork? Thank you for writing this very valuable series!